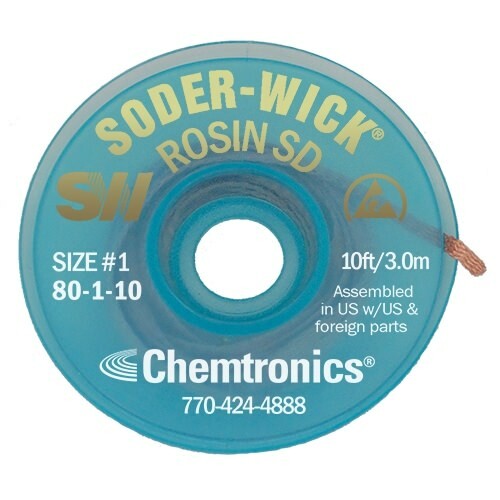 Soder-Wick® offers the state of the art in desoldering technology. Soder-Wick® is designed for today’s heat sensitive electronic components using lighter mass, pure copper braid construction that allows for better thermal conductivity, even at low temperatures. Soder-Wick® responds faster than conventional desoldering braids thereby minimizing overheating and preventing PCB damage.